Meaningless World Made by the Moo-Mean GenerationLet’s think about vacations. Most of our memories will be of traveling or enjoying a hobby with friends not staying at home. However, more and more people today are finding their own meaning in the meaningless things at home. Some people enjoy looking at videos of cute cats on their computer screens and others enjoy listening to the sound of sharpening a pencil called ASMR. In addition, they are touching the slime on the bed, and they look happier than they have ever been. Unlike generations of the past, the Moo-Mean Generation is enjoying their life visually, audibly, and tactually. The term “Moo-Mean Generation” is a coined phrase from combining the Chinese character ‘無’, meaning ‘non’, and the English word ‘mean’. It was created to express today’s generation of young people who pay attention to and take joy in things considered as tedious by others. Recently, the website ‘Daehaknaeil 20s’ Laboratory’ suggested Moo-mean as one of the five key search words, representative of young people in their twenties in 2018. However, it is not only for twenties. According to a survey from Saramin, 27.9% of survey respondents in their twenties, 44.8% in their thirties, and 21.3% in their forties categorized themselves as part of the Moo-Mean Generation. In addition to young people in their twenties, other age groups also consider themselves the Moo-Mean Generation because they take pleasure from things most others would consider meaningless such as slime, watching observation programs, and so on. In other words, unlike people who enjoy traveling or doing an activity to relax, the Moo-Mean Generation finds joy and meaning in the meaningless. The type of holiday each individual pursues is different, so new holiday cultures are arising. One type is a vacation where individuals enjoy their time in the city rather than heading outside of the urban area. This type is referred to as hocance, a new word coined from hotel and vacation. People spend a luxurious vacation in a hotel. At the hotel, typically in the city center, people eat, sleep, and spend time at the fitness center, swimming pool, or sauna. The second one is the holiday near home. Individuals spent their time visiting cultural facilities, seeing performances, camping, eating out and so on. Finally, there is the home-holiday. The number of people enjoying this type of vacation is continuously increasing, and it is called ‘staycation’, a coined word made from ‘stay’ and ‘vacation’. At home, they enjoy their time doing whatever they want. People are enjoying diverse holidays, and the number of people opting to stay at home is increasing. Though they don’t travel nor stay at a hotel, the Moo-Mean Generation is happy. The Moo-Mean Generation came about due to the difficulties of everyday life living in an unfair society. One’s level in life is determined from birth as shown through Korea’s idea of silver spoon versus dirt spoon generations. Most silver spoon individuals spend their time preparing for guaranteed employment, but dirt spoon individuals struggle with the hardship of finding a job and working part-time. The division of lifestyle has brought about unavoidable differences. One job applicant, Lee Junseok said, “I want to escape from the pressure to do something meaningful. If I do nothing during the break, I feel like a loser. Therefore, I watch simple and meaningless videos that heal my anxiety. "1) The situation is not limited to job applicants. Employed company workers are also having difficulty obtaining promotions or doing their job successfully due to prejudices against their academic background, age, gender, and so on. In other words, unlike the past when effort led to success, it is now almost impossible to succeed with effort alone. One way people, who are exhausted from an unfair society can escape, is through a Moo-Mean lifestyle. They find meaning in meaningless. The second reason is a society trend to seek rest. More and more people want to enjoy their own life rather than work for economic achievement. Especially among the Moo-Mean Generation, the word ‘Wolibal’ has arisen. Wolibal stands for the balance between work and life and emphasizes privacy and life rewards over work. This new word highlights the importance of the happiness people seek when they engage in leisure and rest activities. According to the result of a survey of 1934 generation in the website ‘Daehaknaeil 20s’ Laboratory’, 56.4% make time for rest, and 64.4% preferred to live a leisurely lifestyle though they make less money. Unlike the past when people thought it was meaningless to rest and more important to earn money, people view rest highly. Rest is not only a time to reenergize but a time for living well by doing one’s favorite things. The last reason for an increase in the Moo-Mean Generation is the desire for comfort from the familiarity. In 2017, the JTBC drama <Hello, My Twenties> was popular. The drama featured a plain everyday lifestyle, from romance to job hunting. Popularity was strongest among people in their twenties because it depicted everyday lifestyle. Rather than seeing the impossible and unrealistic, the Moo-Mean Generation desires authentic advice from normal persons in situations similar to their own. These twenties are also called ‘Normal Crush’, which means a mixture of ‘normal’ and ‘crush’. These youngsters pursue ordinary things rather than something special or colorful. The Normal Crush shares ordinary and everyday things such as small interior accessories and wallpaper on SNS, and they are very empathic towards others. That is, they share sympathy with each other in similar situations rather than showing concern for things that are special. One culture that has appeared as a result of the new Moo-Mean Generation is the ‘Contest of useless things’. Because the Moo-Mean Generation pursues a sense of unconsciousness and meaning from the meaningless, they have these incorporated characteristics into their life attitudes. In particular, the giving and receiving of meaningless gifts has now become trendy. People buy an useless item, rather than a must-have item as a gift. They disregard the person’s likes or tastes because they consider it as burdensome. Hence, gift items now range from ingredients to make straw shoes, to magic books, and bricks. Especially in recent years, this trend can be found in many people, so it is not easy to claim it is solely a characteristic of the Moo-Mean Generation, but certainly the Moo-Mean Generation has contributed to the increase in this type of trend. Animated emoticons also have attracted the attention of the Moo-Mean Generation. They are in high demand despite being low quality creations called as ‘Balquel item’(sounds made from feet). Most animated emoticons are awkward and insincere, but the more people see them, the more they view them as cute. In other words, useless items popularized by the Moo-Mean Generation’s desire for meaninglessness and unconscious thought have become hot items for all generations. Other things are toys and visual or audible contents targeting the Moo-Mean Generation. 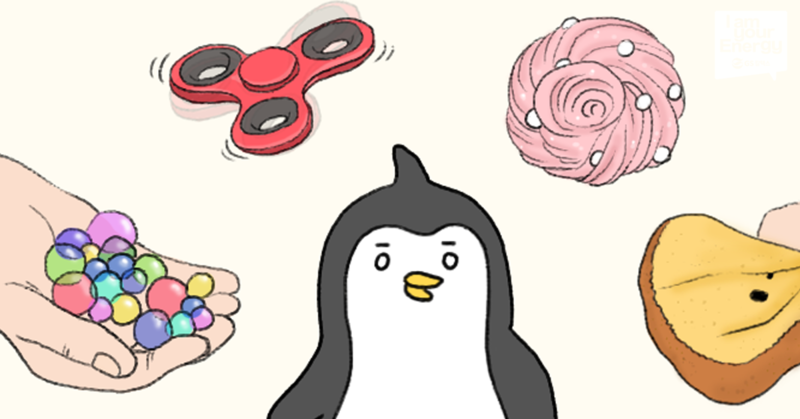 Toys that satisfy the wants of Moo-Mean Generation include flabby slime, floral foam with colorful sponges, and fidget spinners. Besides toys, there are also increased types of video or audible contents. One is ASMR that aims at auditory satisfaction. 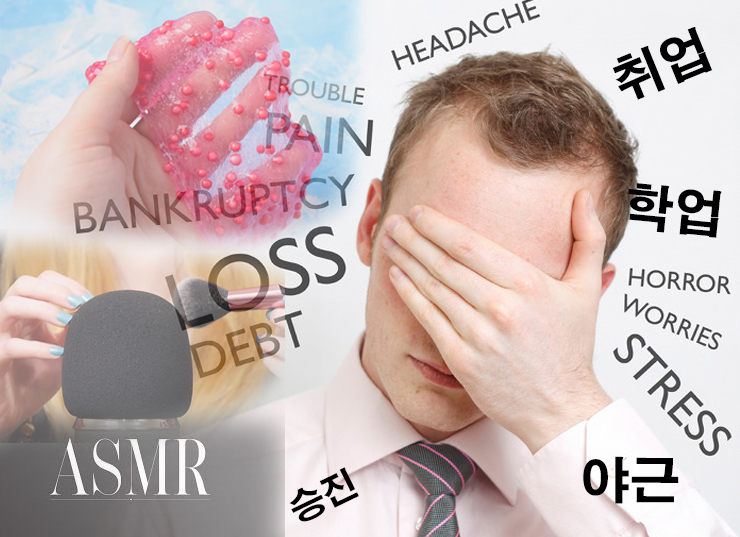 ASMR stands for Autonomous Sensory Meridian Response, and it simulates the brain with meaningless sounds and induces psychological stability. These kinds of ASMR have become very diverse and include things such as the sound of ear wax and eating marshmallows. Lee Junseok said, “I want an escape from the desire to do something meaningful, so I listen to ASMR content. Before sleeping, I listen to comfortable sounds like the sound of rain or waves on the ocean.”2) ASMR content is evolving by satisfaction of the Moo-Mean Generation. Along with auditory content, there are also videos that aim at meeting viewers’ satisfaction by showing hands rubbing slime or showing the actions of cute animals. One of the most popular videos today is the video recordings of the daily life of a cat by YouTuber Cream Heroes. The post titled ‘Cat Is Angered by the Sound of Thunder’ received approximately 1.6 million views starting at 4:30p.m. on July 23. The new media has soared because of the Moo-Mean Generation, and similar content is likely to continue to increase in the future. The last cultural influence is in the entertainment field. Entertainment programs now place cameras in such a way as to document and minimize the intervention of the production team. The production crew is not involved in the setup of a situation nor plan the scenario meticulously. Instead, the crew presents themes and missions to the cast and shows ‘real’ situations to viewers. This becomes more like reality TV and covers a variety of theme such as everyday life, traveling, cooking, and eating. In recent years, it has become trendy to invite family members of renowned actors onto the programs, and they observe the actors’ lives. These types of programs are increasing in popularity. Entertainment programs that feature routine daily life cause viewers to form natural bonds of sympathy with the actors. According to Big Data analysis results, the number of people who have expressed sympathy and comfort from watching observation programs was 11,524 in 2016 and was 7,070 for the first half of 2017.3) In other words, the number of people who feel a sense of comfort from watching these observation programs is gradually increasing, and the number of observation programs are also gradually increasing in popularity. “What are you doing? Do something meaningful, not useless.” If you are a Moo-Mean Generation lying on the couch and playing with slime and smiling, you will have likely heard these comments more than once. Is your behavior really useless? Don’t look down on the Moo-Mean Generation’s behaviors negatively. Like the most people who enjoy traveling or doing a hobby with friends on their vacations, the Moo-Mean Generation is happy finding meaning in the meaningless. What is meaningless or worthless for others can be great meaning and usefulness for someone like the Moo-Mean Generation.